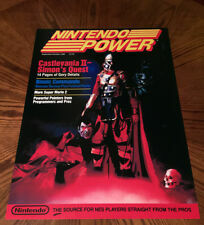 New ListingLot Of 14 Vintage Nintendo Power Magazines Volume 90s & 100s All Posters "RARE"
The books condition vary between each other. 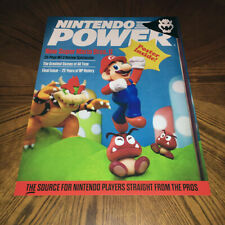 Nintendo Power. Perfect size for framing. Better quality print : Original pixel perfect mastered artwork, higher detail and image quality and beautiful satin matte finish, compared to cheap lower res. I promise to fix any problems with your order! Banjo Kazooie. exposed to humidity. Doom 64 & Castlevania. Doom 64, Turok, Mario Kart 64, Earthbound 64. Rogue Squadron. Zelda Link's Awakening. Nintendo Power Lot - Trapper Keeper (Complete) + Folder + Magazine! Rare! But whatever treasures and trinkets we find, we list here. This is for the holy trinity of classroom swag via Nintendo Power. The folder has a crease or two, but is cherry otherwise. The magazine is in good condition. Nintendo Power Super Mario Bros 2 / Zelda II 2 Link Lunch Box 1989. Condition is Used. Shipped with USPS Priority Mail. Never used or hung on anyone's wall. NES. 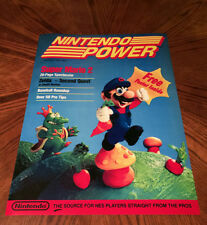 Nintendo Power Pad W/BOX . Condition is Used. Shipped with USPS Priority Mail. See pictures for condition. Adult Owned. AC Adapters work with Nintendo NES, Super Nintendo & Sega Genesis consoles. Nintendo Power And Reset Buttons. Condition is Very Good. Shipped with USPS First Class Package. Print on High Quality Water resistant Solvent Ink and Photography paper.